Well, they were for a bit! 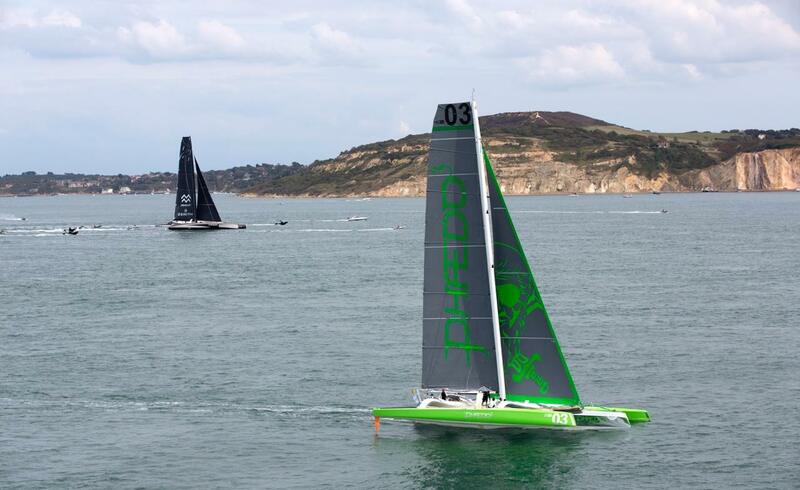 The mod 70 Phaedo looks good leading the 131′ Spindrift heading out to the rock. Track the fleet here.